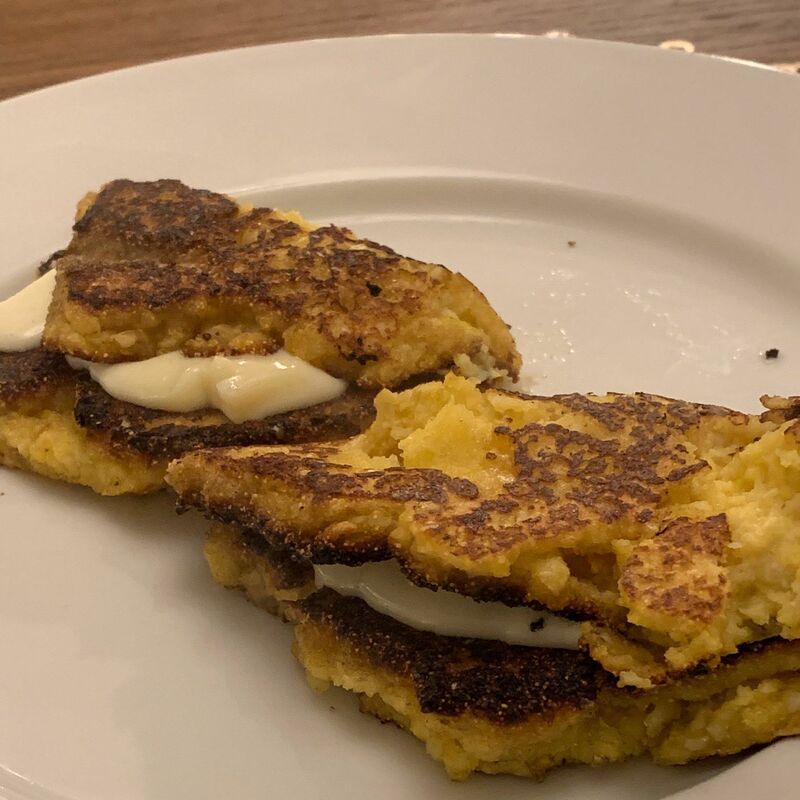 Venezuelan cachapas. I couldn’t find queso fresco so substituted mozzarella. One of the best meals I’ve ever had was at a farm in Venezuela and I’m remembering that country and its troubles and my family still there.